With ever-increasing production and sharing of video and pictures across digital channels, the use of media management systems is soaring. FotoWare is now introducing its own award for users of such systems - the world’s first Media Management Award. 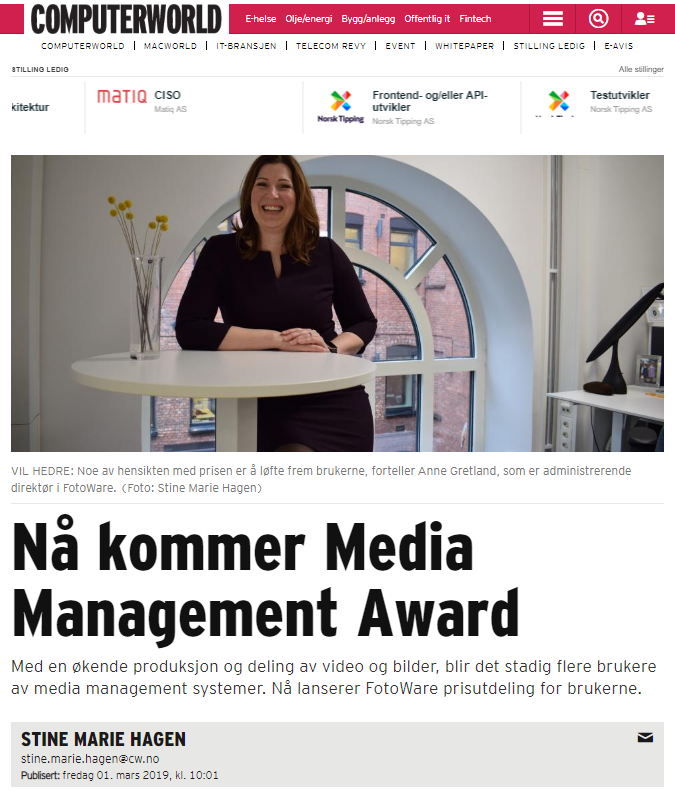 The software company based in Norway wishes to give due credit to the users of Media Management and Digital Asset Management (DAM) and to highlight the importance of well-organized content. The nomination process is now underway. Nominations come from users all over the world, and prizes are awarded regardless of the software solution being used. 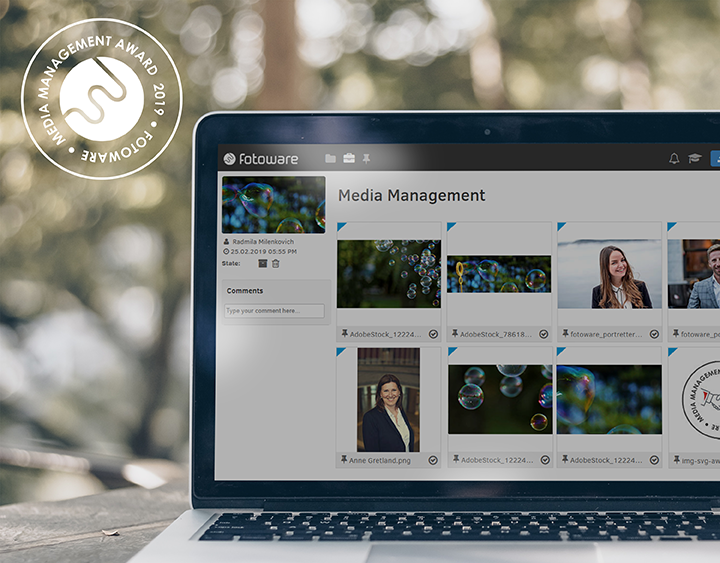 The purpose of the award is to showcase the use cases covered and the benefits of employing a media management system, FotoWare explains in a press release. - We expect to receive many nominations from all over the world and can’t wait to see the effect the award will have. There’s no other award like it anywhere. We’re the first developer of media management systems in the world to focus on the actual people behind these projects. And we wish to give them the attention they deserve, explains FotoWare CEO Anne Gretland. FotoWare, whose current list of customers includes such names as Lindex and The White House, hopes the award will lead to an increased understanding of how a DAM solution can contribute to an optimal workflow. The prize is awarded in September, and winners receive a diploma and an award statuette. The jury is comprised of media management experts from Thomson Reuters, Tourism Malaysia and Polizei Hamburg who, in July and August, will pick one or more worthy winners of what may well become the DAM world’s version of the Oscars. This article was written by Stine Marie Hagen and published in the Norwegian edition of Computerworld on Friday 1 March 2019. FotoWare has translated the article in its entirety.